Vacuum Systems | Phenix Equipment Inc.
800 Series portable industrial vacuum systems offer maximum versatility at an economical price. These units feature a simple drum style housing equipped with cartridge filters which are continuously cleaned by pulses of compressed air, allowing uninterrupted operation and extended filter life. 800 Series portable industrial vacuum systems include a rotary lobe style vacuum producer capable of producing a vacuum 16” Hg making these units ideal for cleaning up anything from the lightest leaves or paper to liquids and heavy metal shot. 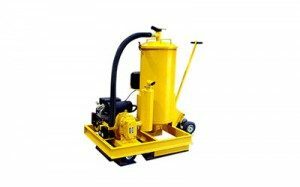 400 Series portable industrial vacuum systems provide the same flexibility, performance and basic features of Hi-Vac 200 Series units, yet offer additional filtration at both the 50 and 75 Hp performance ranges. A total of 15 envelope style filter bags provide a lower air-to-cloth ratio which means more protection of the vacuum producer and better separation of material from the air stream leading to more efficient operation. 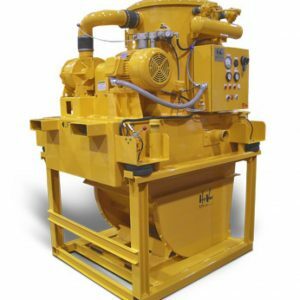 Hi-Vac Stationary Vacuum Loaders should be an integral part of a plant-wide centrifugal vacuum system. 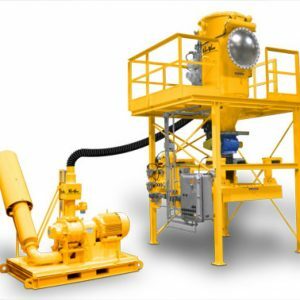 These industrial vacuum loaders can be used to clean up and move material over long distances in the plant or can be used as a pneumatic conveyor to collect and continuously transfer materials into processing systems or storage. When you need a small but versatile industrial central vacuum system with the power to produce up to 16” Hg that will keep you under budget, DrumVac is your solution. The compact drum vacuum is mounted on adjustable legs that slide up and out of the way for compact storage. Heavy-duty steel base with pallet jack and collapsible, adjustable support legs for easy transport. 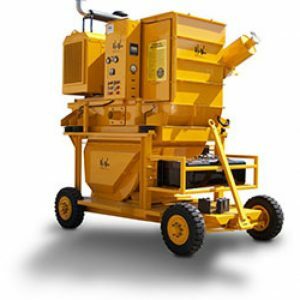 The DrumVac drum vacuum is available with an electric motor or engine drive, and offers an optional trailer mount arrangement as well as an optional “Drum Topper” lid, which can be placed on top of a standard 55-gallon drum for collection of the majority of the debris before it reaches the machine.